Nothing brings to mind a timeless and simple lifestyle like a classic American farmhouse. 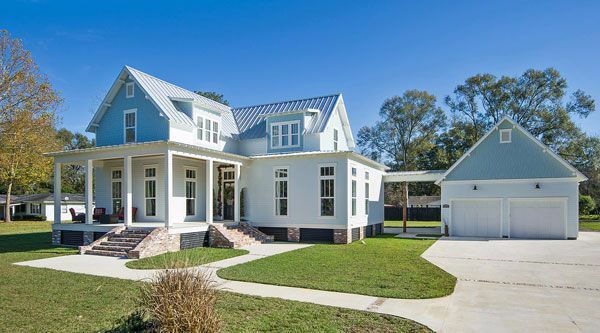 A porch for lazy outdoor lounging, a quintessential pitched roof and gables, a big open kitchen, and natural wood work all make up an ideal farmhouse style home. 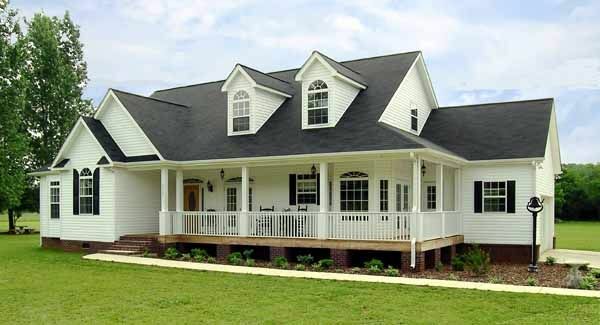 With the growing popularity of the idea of simple living, the farmhouse is experiencing a resurgence in popularity. With origins in the 18th century, the American farmhouse was built for function. 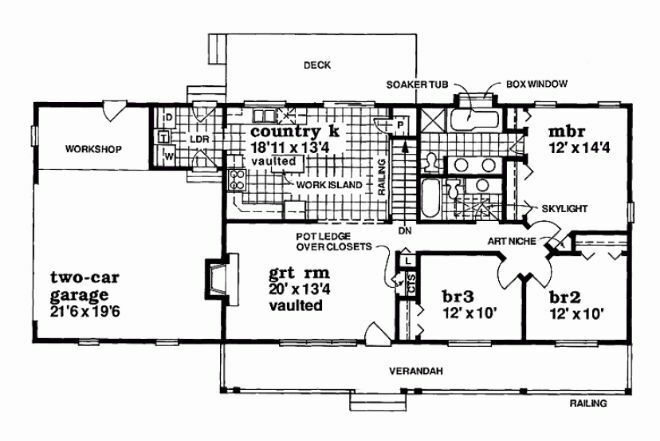 They were built sturdy with a simple and straightforward design to accommodate a family living on a farm. 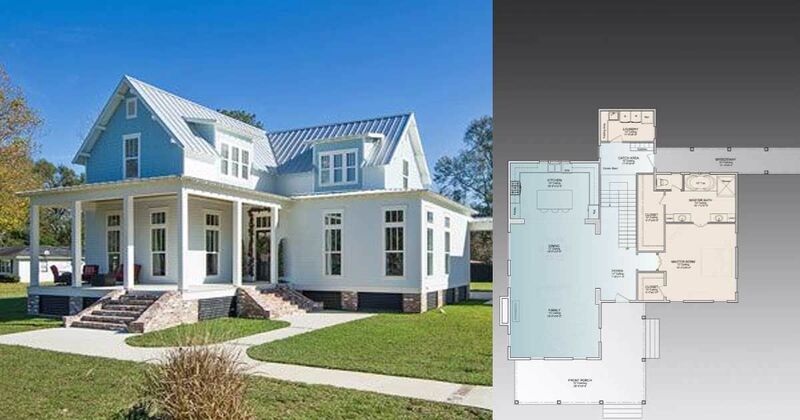 Today's farmhouse homes have evolved to include more modern layouts, while still paying homage to the style's rich history. 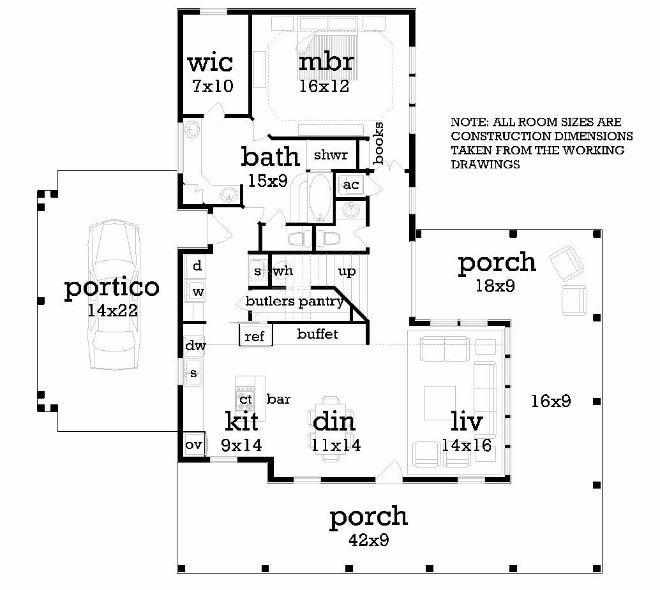 If you're planning your own farmhouse retreat, check out these six layouts below for inspiration. 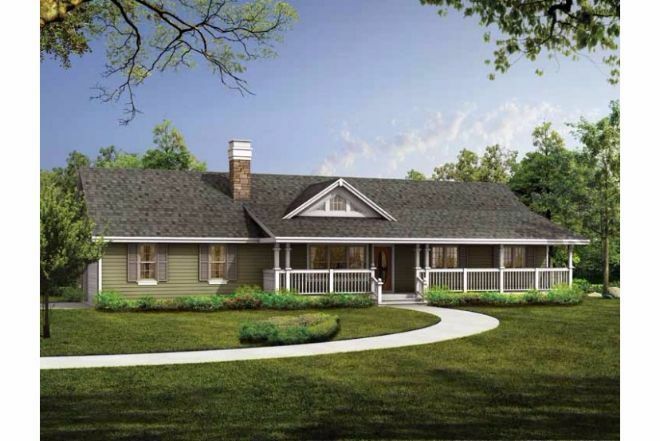 This home offers 1,793 square feet and three bedrooms. An extended porch in the front, and a covered porch in the back offer great outdoor spaces for entertaining. The great room located in the center of the floor plan includes a crackling fireplace for a cozy ambiance. The kitchen features a cute breakfast nook to enjoy morning coffee. 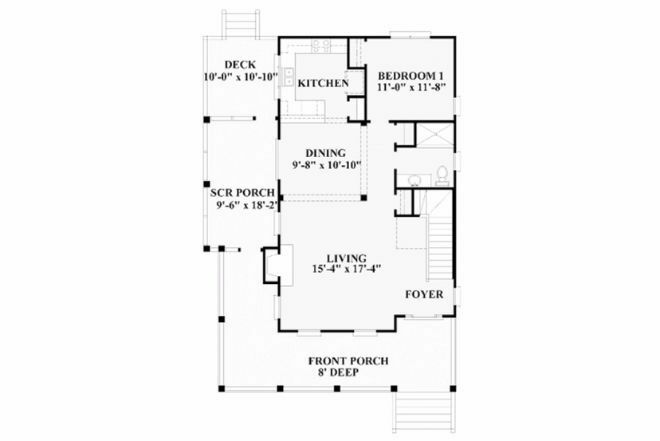 This home is three bedroom and only 1,400 square feet. But the vaulted ceilings lend a sense of spaciousness. 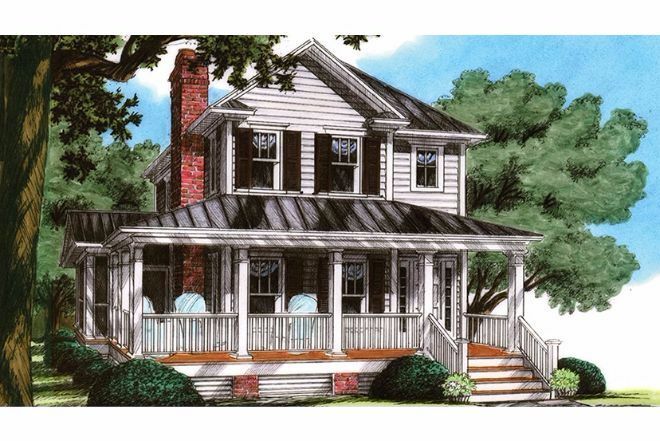 A bright country kitchen has plenty of counter space and a convenient work island. The two-car garage includes a handy workshop area. This cute cottage farmhouse with a classic red brick chimney is only 1,800 square feet, but is packed with amenities. The front porch wraps around the side of the home to connect to a screened porch. The living room is open to the dining which leads to a spacious kitchen. 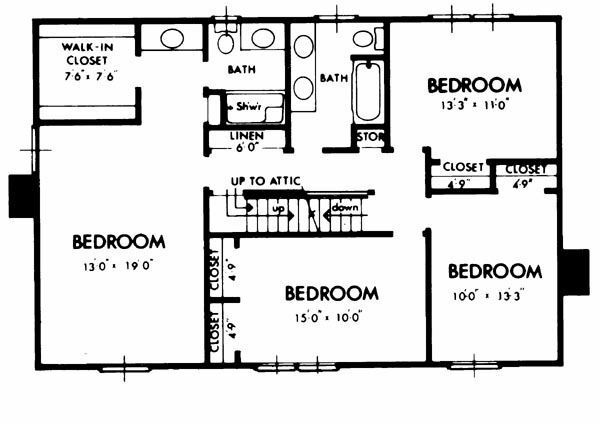 One bedroom and bath is located downstairs; while two other bedrooms and the master suite are located upstairs. This home has three bedrooms and is a spacious 2,900 square feet. 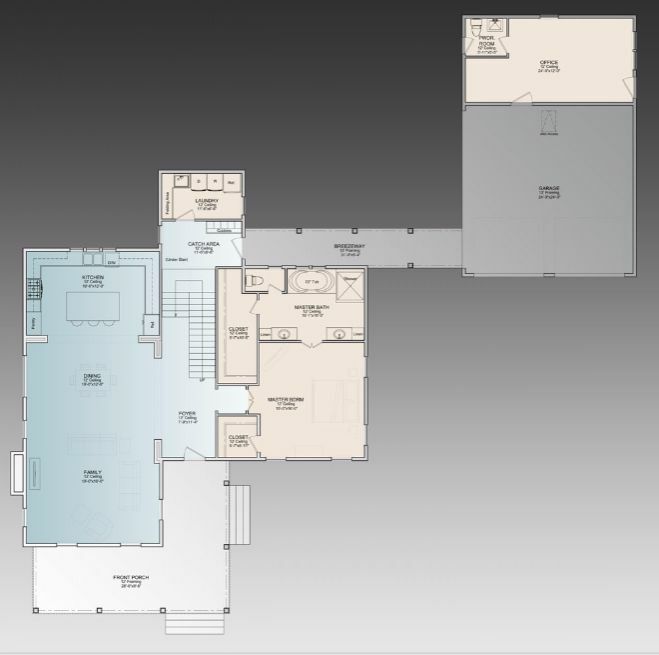 The home has a modern open layout that includes the family room, dining area, and open kitchen all in one massive space. 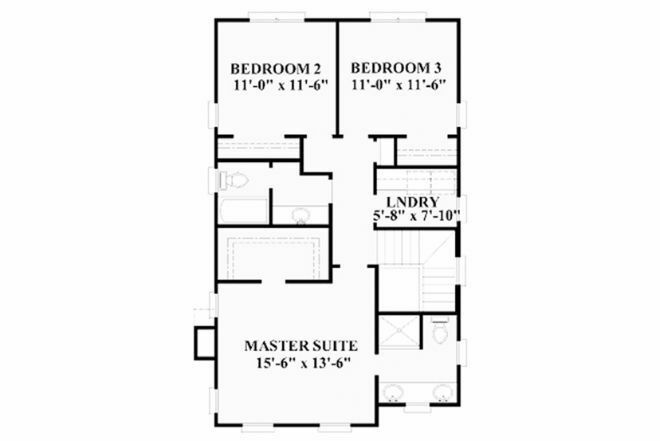 The master suite on the first floor is luxurious with a large walk-in closet. A breezeway connects the main house to the garage. 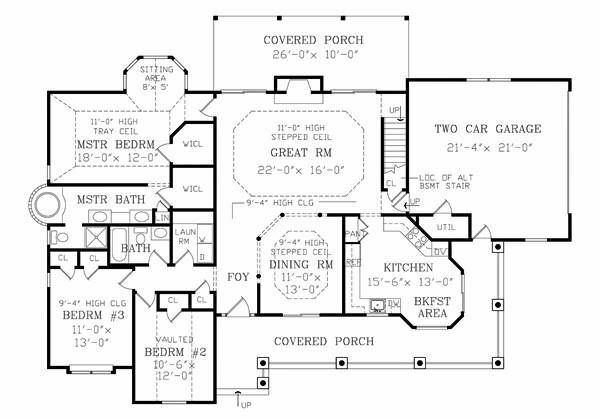 This design is 4 bedroom, 2 bath, and 2,400 square feet. 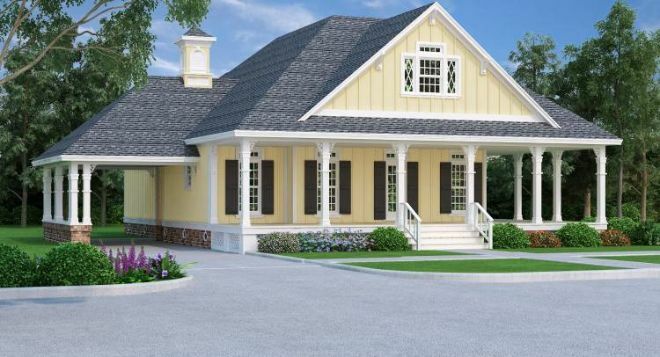 The home features a beautiful wrap around porch. 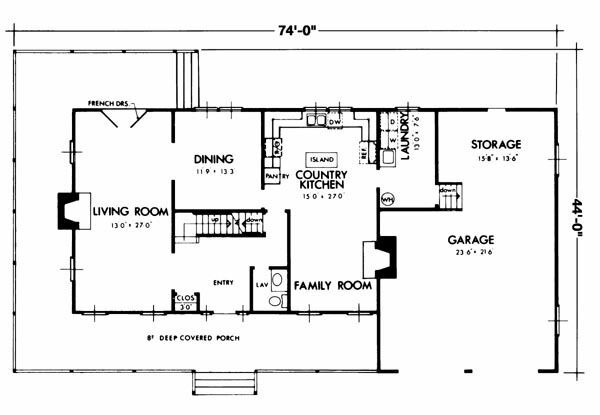 Upon entering the home there is access to the living room on the left and the family room and open country kitchen to the right. Upstairs you'll find four bedrooms and access to the attic. 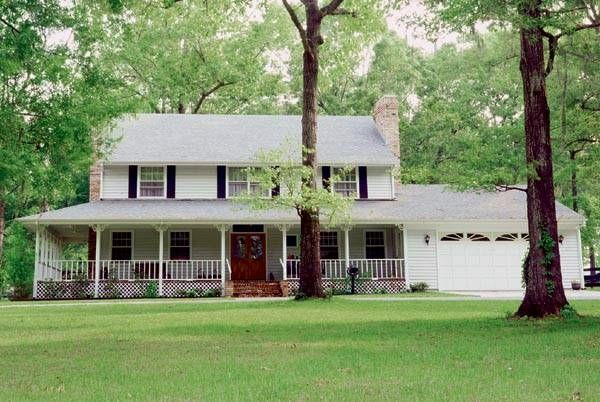 This farmhouse features 4 bedrooms and 1,900 square feet. The wrap around porch is perfect for sunset watching on a comfy rocking chair. 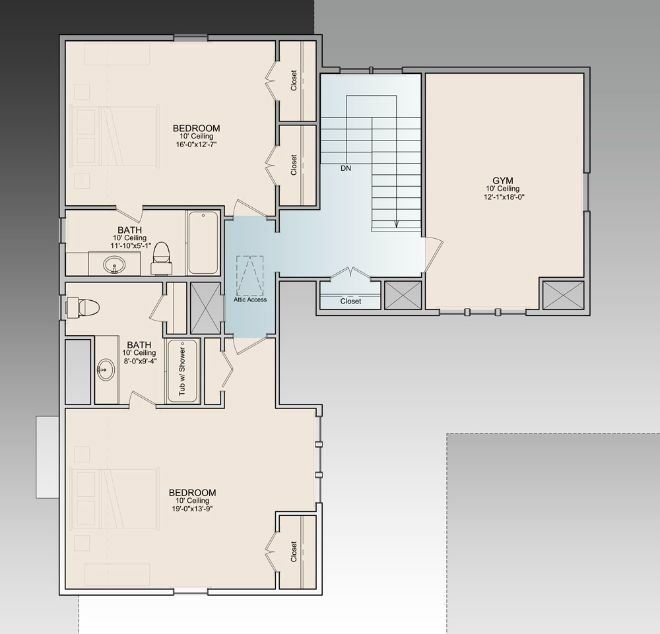 Inside the efficient first floor includes an open layout of the kitchen, dining and family room; and a separate master bedroom. 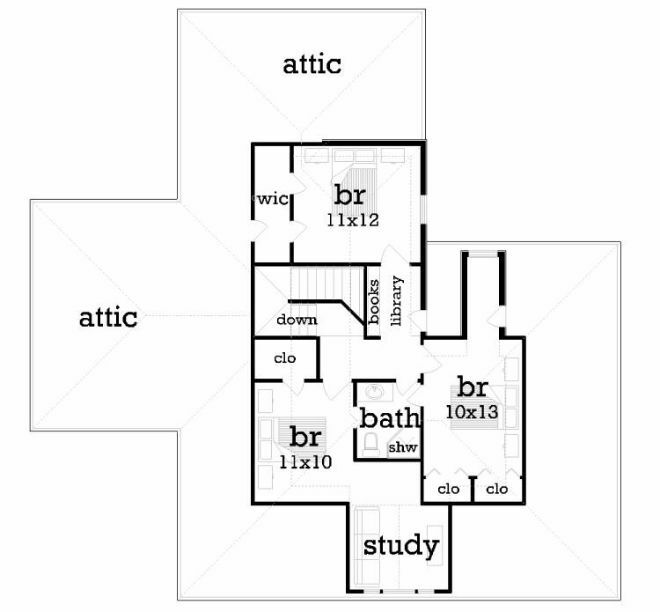 Upstairs contains three bedrooms and a private study area.